The ramifications of this are simply mindblowing. 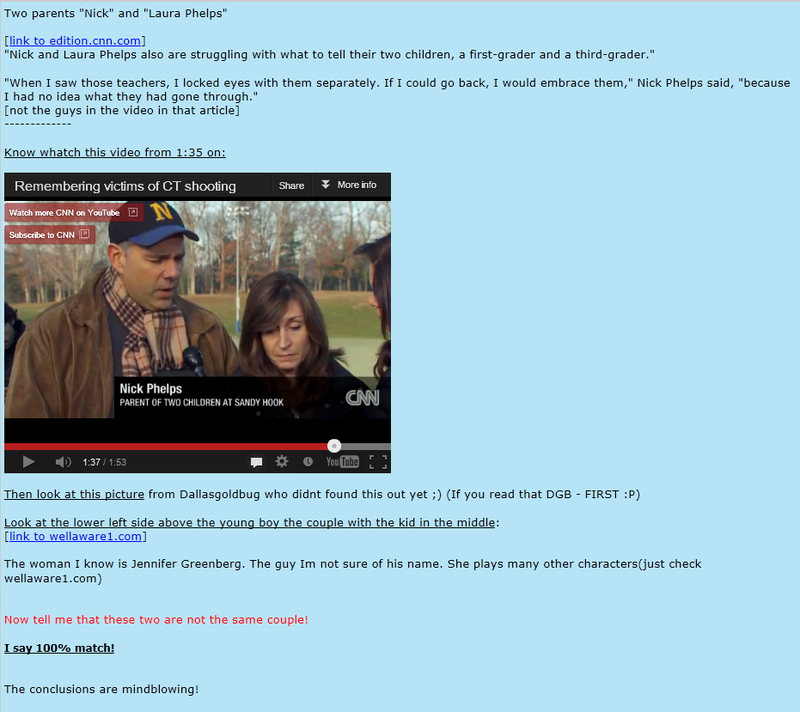 Problem is they are not really Nick and Laura Phelps. They are actors or acting. This goes against even my sense of what is possible. But there can be no doubt. And now I am starting to think that there was really no Christina-Taylor Green ... This is starting to actually scare me. Sure looks a lot like the girl in the photos I have posted.